Hughes Hubbard & Reed advised Credit Suisse AG in Zurich on its participation in a $1.4 billion syndicated loan as well as a $75 million bilateral facility against Excel Maritime and 40 of its affiliates amid the Greek shipping company’s descent into bankruptcy. 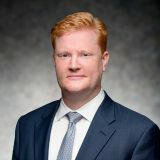 Credit Suisse retained Chris Kiplok in October 2012 following a targeted marketing approach by Hughes Hubbard’s Corporate Reorganization Group in the distressed shipping business. Based in Athens and listed on the NYSE, Excel is one of the largest providers of seaborne transportation for dry bulk cargo (grain, metals, sugar, fertilizer, etc.). The dry bulk shipping market is facing a historic decline in rates, unseen in over 150 years of indices that track the industry. Initial efforts to keep Excel afloat revolved around an out-of-court restructuring of the syndicated and bilateral loans. Over time, as discussions devolved and became more contentious, there was consideration of a UK Administration and ultimately a Chapter 11 filing in the Southern District of New York in July. Along the way, Hughes Hubbard advised the bank on a foreclosure of cash for a significant portion of its indebtedness. 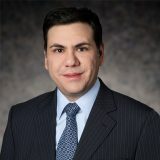 As a US bankruptcy filing became inevitable, Credit Suisse risked having its bilateral position overwhelmed by discussions of the broader restructuring. Hughes Hubbard crafted an innovative solution for the bank to credit bid its secured interest in two vessels, the M/V July M and M/V Mairouli. But before foreclosing as a successful purchaser, the bank would assign its successful bid to an entity affiliated with the daughter of Excel’s chairman and CEO. That entity, Blueberry Shipping, would take possession of the ships subject to the existing Credit Suisse loans, on condition the loans would be restructured on terms favorable to the bank. 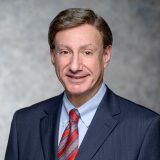 As part of the transaction, and as an inducement to other creditors to support it, Hughes Hubbard implemented a debtor-in-possession loan to keep the debtor entities in operation for the period of the bankruptcy. The vessels were to be marketed pre- and post-petition, but with the bank’s debt far in excess of market value, successful cash bids were unlikely. With the Hughes Hubbard structure Credit Suisse closed the transaction with Excel and Blueberry in only 30 days on Aug. 7, 2013. The rest of the Excel bankruptcy is expected to go on for months. Kiplok led the Hughes Hubbard team and was assisted in all aspects of the transaction by Nick Milburn. Steve Greene advised on banking matters. Jeff Margolin advised on bankruptcy litigation, including a risk analysis of the foreclosure.